Unicaja, the Andalucía savings bank is the largest sponsor committing 1.25 million euro’s over five years. 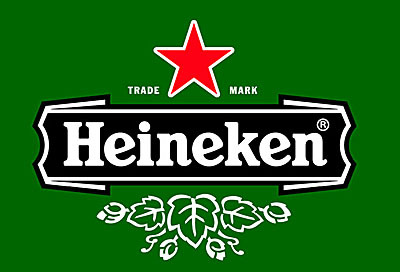 Heineken will pay 1.175 million euro’s over 2015 to 2019. Hidralia is an Andalucían company which works in the environmental sector managing all processes related to the complete water cycle: catchment, drinking water treatment, transport, and distribution for human consumption with full health guarantees, and sponsors 240,000 euro’s over two years. Italcementi is an Italian multinational company, quoted on the Borsa Italiana, which produces cement, ready-mix concrete and construction aggregates. It’s the fifth largest cement producer in the world and the biggest in the Mediterranean area, and sponsors 136,000 euro’s in kind, providing translucent cement. Gas Natural sponsoring 98.500 euro’s over a year. Renault with 50,000 euro’s in kind, to cover the number of cars they are sponsoring. Mayor, Francisco de la Torre, gave the numbers in an extraordinary council meeting, and added the number would increase as those who have supported for the early years could continue until 2019, and he expected more private interest when the venue is open. The board of the Málaga Government adjudicated the maintenance service for both new museums to a temporary union of companies, formed by Cobra Instalaciones y Servicios and Actua Infraestructuras for 524, 362 euro’s. The annual cost for the French museum is put at 4.23 million euro’s and expected income from ticket sales and sponsorship is 2.58 million, 420,000 less than the Russian Museum.